The Apple Watch is helping some cancer patients with their treatments. In a recent article in Fox Business, the site spoke about a new treatment plan for cancer patients in Camden, New Jersey that uses the Apple Watch as a tool. The nine month program was implemented with 30 patients at the MD Anderson Cancer Center with the hope of capturing every move they make during cancer treatment. “The app allows us to stay in touch with our patients while they’re in care at home and in the hospital by measuring their physical condition through the watch and their mental condition through a series of questions that we ask so we can get a more holistic view of their health,” Mark Anthony, CEO of Polaris Health, told FOXBusiness. So far, the patients seem really interested in the treatment, and are reportedly enjoying using the wearable. Cori McMahon, Director of Behavioral Medicine at MD Anderson told FOX that patients were using the Apple Watch to track both their activity level and their mood, the Apple Watch also allows those patients to see the effect different treatments have on their body, and how certain treatments might affect their mind and body. 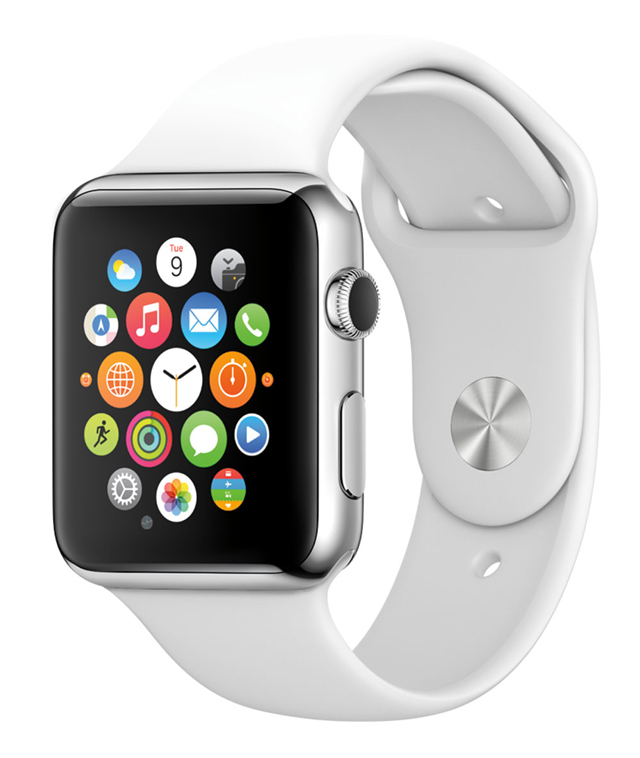 The Apple Watch is particularly useful when it comes to monitoring patient’s moods. McMahon says that since doctors are able to track a patient’s mood, they can tell when a patient is going through a few rough days. If their mood drops for several days in a row, doctors can ask the patient via the Watch if they would like to speak to someone. If they would, they can push a button the Apple Watch and be instantly connected to someone on the medical team. It’s super-fast and responsive medical care that previously wasn’t available. Previously doctors might have not even been aware a patient was going through a rough time, and would have had to count on that patient to not only recognize the issue, but reach out on their own for help. That’s something many patients simply wouldn’t do. There’s also an app that patients can use to connect with each other. Within the app’s forum-like structure, patients can talk to others going through similar treatments about the disease, the treatment process, and obstacles they’ve encountered along the way. Patients can then offer support to each other. That means that even if a patient can’t get out of bed, they have the opportunity to connect with others and get the support that they need. The Apple Watch is already being implemented in a number of medical situations. Another app called Epi Watch, for example, offers a way for epilepsy patients to track how the disease effects them in the hopes of potentially improving their treatments and allowing doctors to gain a better understanding of the disease. The study, which is being conducted by the Johns Hopkins University School of Medicine, has patients take daily surveys and make journal entires about their disease, and tries to get them to document when they have seizures and what happens to their body prior to one come on. Thanks to the Apple Watch’s heart rate monitor, accelerometer, and gyroscope, researchers will be able to track changes in heart rate as well as body movement in patients, ultimately gaining a better understanding of the disease. For right now, the app is simply collecting data rather than predicting when a seizure might take place. In the future, however, researchers hope to be able to take that data and turn it into a way for doctors to be able to predict when a seizure might come in the future.